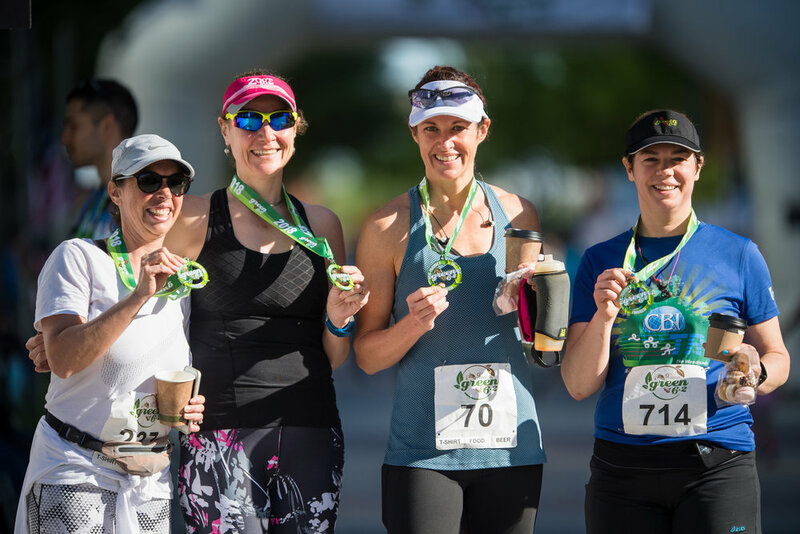 Celebrate the 10th anniversary of the greenest race in Houston when you register to run the green6.2 or 3.1! The 10K is a USATF Certified Course and Houston Marathon qualifier. All participants receive a chip timed race, green6.2 commemorative 10th anniversary finisher medal and t-shirt. Kids K participants receive a tech t-shirt and finisher medal. Registration closes at 6pm on Friday, April 19. Race day registration is not available. The green6.2 team is dedicated to providing socially and environmentally responsible events. To ensure our commitment, our practices follow those measured by the Council for Responsible Sport’s standards for certification. Water Station cups will be Solo Bare Cups, compostable. Join us for an EASTER EGG hunt during packet pick up from 2pm - 4pm on April 13th! Bring the kids for this fun experience and to meet the Easter Bunny and receive a free photo from the Houston Photo Booth! Kids under 12 receive a green6.2 tote bag to participate in the Easter Egg Hunt! If you lose or damage your bib prior to race day, a $10 administrative fee will be required to obtain a new bib. View the Parking Map for race day parking details. You may park in any of the BLUE parking garages. Parking is FREE on the 2nd and 3rd levels. Water stations are located every 2 miles and at the finish.